Fixed error "Input data for tag Item.eBayPlus is invalid or missing"
auto-detect staging site - if domain contains "staging" or "wpstagecoach"
IMPORTANT: Please update to 2.0.10 before July 15th. Older versions of WP-Lister will stop functioning on July 15th! added incompatible plugin warning for "WooCommerce Multiple Free Gift PRO"
updated labeling and tooltips for deprecated / not recommended options "Auto update ended items" and "Enable API auto relist"
relabeled "Inventory Sync" option to "Synchronize sales"
improved order meta box - show status for "marked as shipped" and "feedback left"
fixed archiving deleted listings when using "Update details from eBay"
This is the changelog for version 2.x. 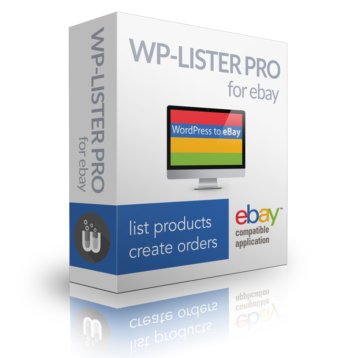 For older entries see the changelog for WP-Lister for eBay 1.x.